At mama bootcamp, results ARE typical! WELCOME TO MAMA BOOTCAMP'S ARCHIVE OF GREAT STUFF! We created this barchive in order to bring our Mamas useful, actionable and positive posts that help us all to achieve a healthy and happy life. chopped nuts such as almonds, walnuts, pecans, etc. Add all ingredients to the slow cooker (besides toppings...they go on right before serving!) 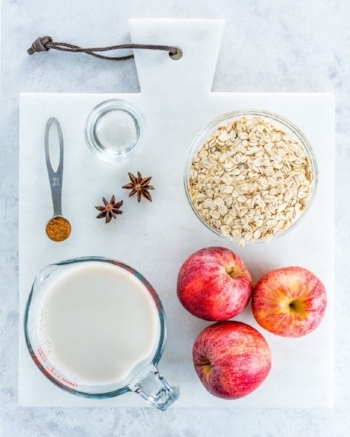 – oats, milk, apples, coconut oil, cinnamon and anise star. Cook on low for about 3-4 hours depending on your cooker. Serve warm and add toppings of your choice. We created this blog in order to bring our Mamas useful, actionable and positive posts that help us all to achieve a healthy and happy life. Check back often for a dose of motivation and inspiration. With Mama Bootcamp, you will discover how to take better care of your mind, body and spirit… Develop greater self-esteem, lose fat, gain muscle, and have fun with friends. Now that's multitasking!